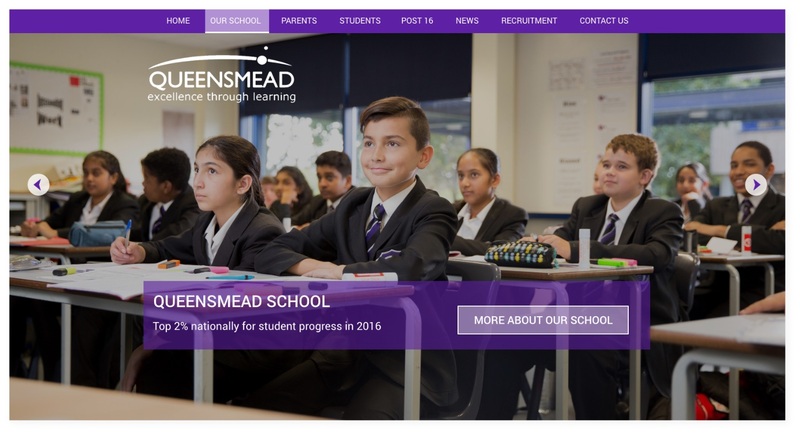 Queensmead School required help with portraying their values and ethos online, but were struggling with an old, out-dated website. They also needed to be able to use their website for recruitment purposes. The success of a school largely sits with the quality of the teaching staff, and so it was important that they were able to attract the best talent. However, their old website did not present the school as well as it should, and did not have the functionality for recruitment. Queensmead School chose to work with us over other leading suppliers in the education sector due to our creative approach to helping them stand out as an employer. With a close focus on recruitment, we redesigned and built the new website. 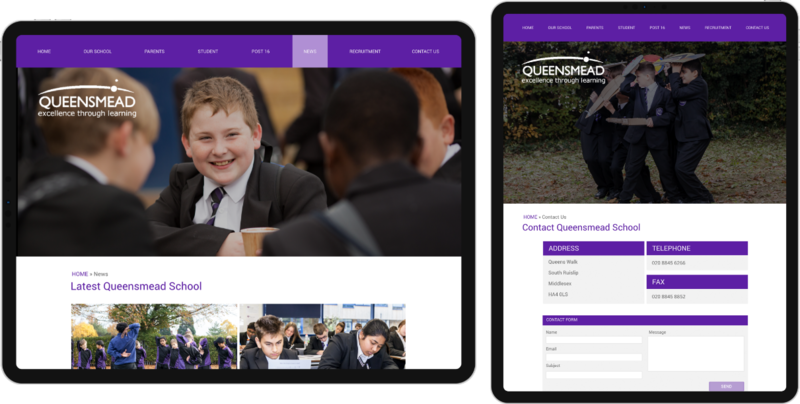 Given the brief of creating a website the helped Queensmead School to stand out from other local schools, we needed to ensure that the website was eye-catching, yet user friendly. Knowing that use of video would help to make the website stand out, we placed a strong emphasis on video and animation in key areas of the website. We wanted to create a video that portrayed the school’s values and ethos, and so spent a day on-site filming various shots showing day-to-day school activity. Through a simple edit, we were able to create an eye-catching backdrop that left a long lasting impression on visitors. We also created two memorable animations, one aimed at recruiting staff, and one to attract sixth form students. 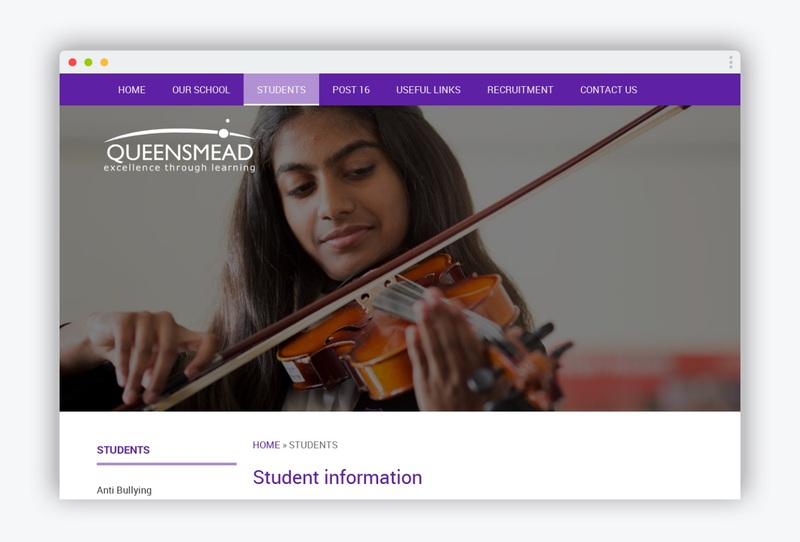 In addition to the website, we carried out design and print work for Queensmead School, including prospectuses for the post- and pre-16 provision, and an outdoor banner. 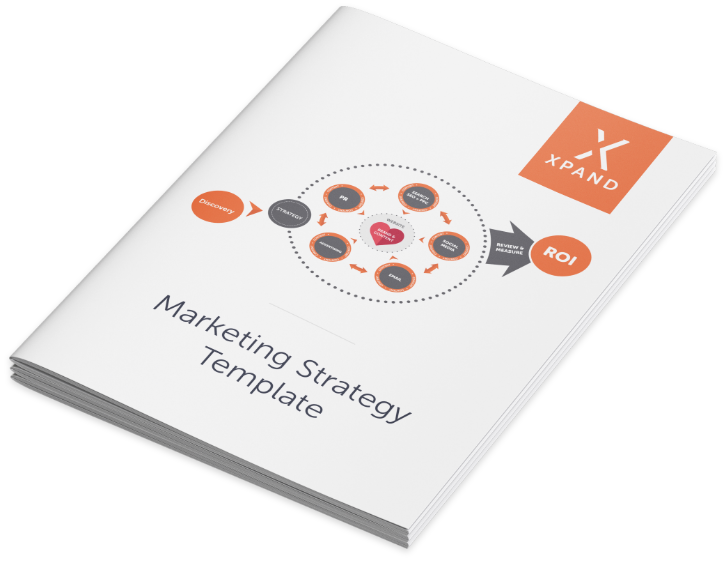 On top of this, we created a variety of marketing literature to be used in a recruitment drive – all of which was completed within a very tight deadline. I am pleased to say that since launching the website we have had more applications than ever in a declining industry where there is a shortage of teachers and the feedback received on the website has been fantastic. The combination of the new website and marketing literature resulted in a 180% increase in recruitment, compared to the previous year – fulfilling the primary objective of the project. 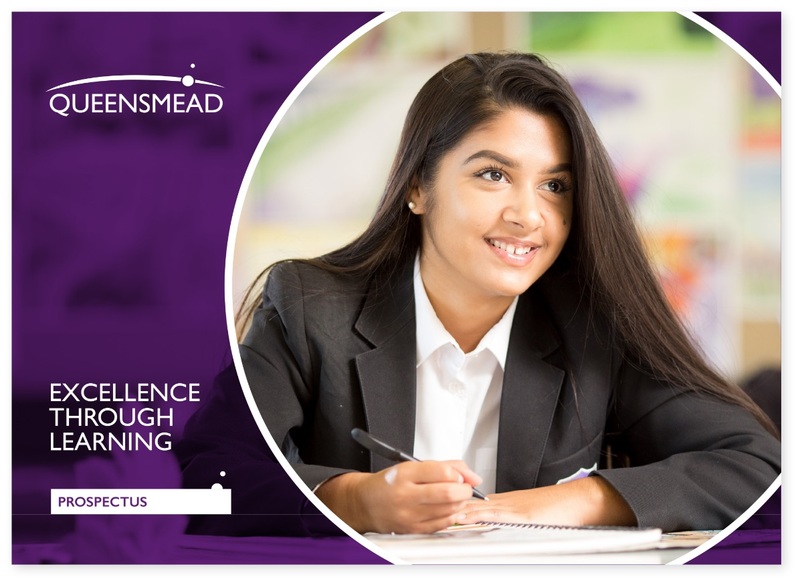 We continue to work with Queensmead School on an ad-hoc basis, creating marketing literature, prospectuses, and other promotional material as required.